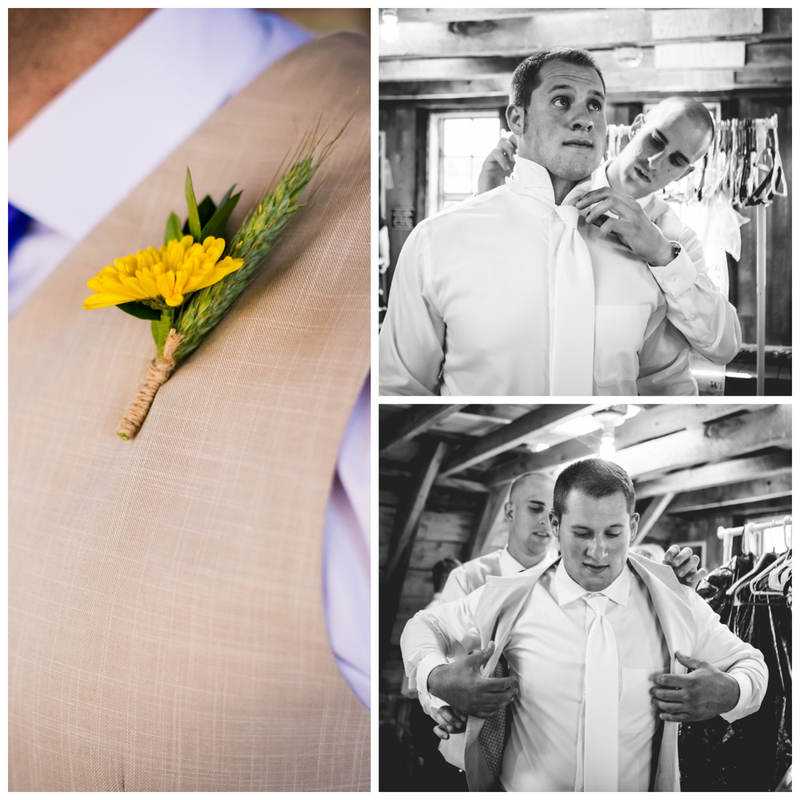 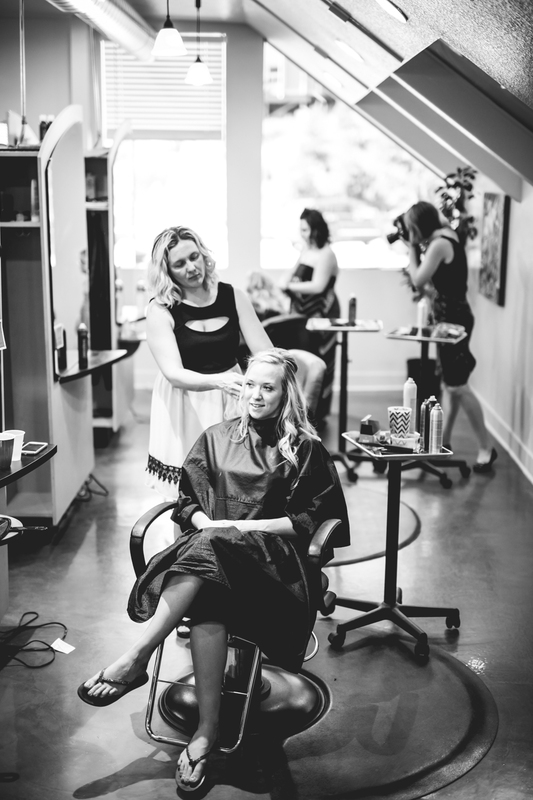 The Barn at Evergreen Memorial was a beautiful location for Carissa and Mitch's Colorado mountain wedding. 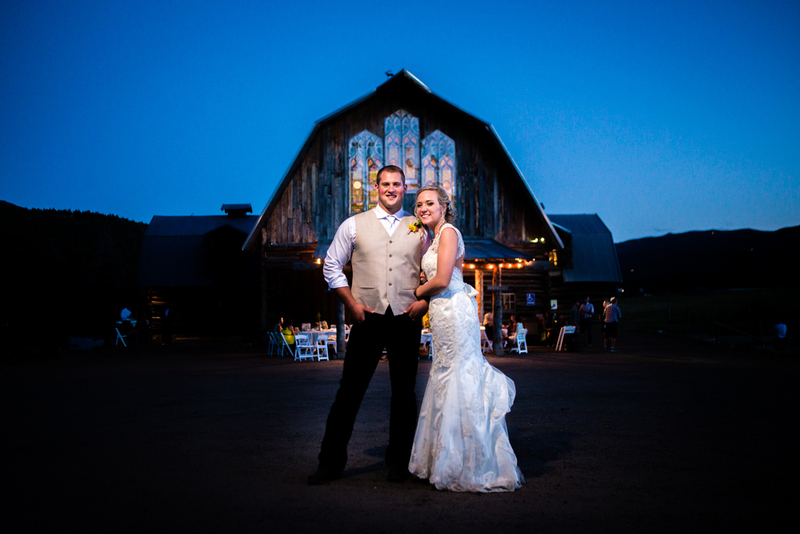 The barn and scenery around it matched their decor perfectly. 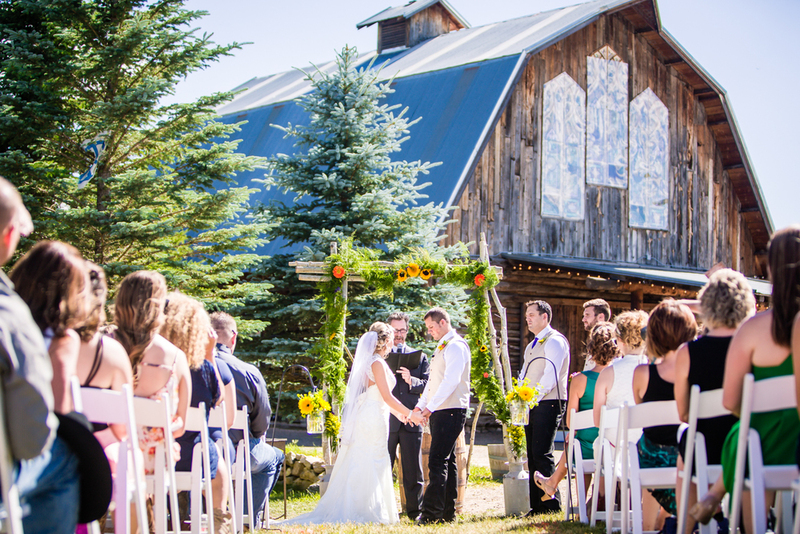 The ceremony was outside with the barn perfectly aligned down the aisle, and dinner and the reception were held inside the barn. 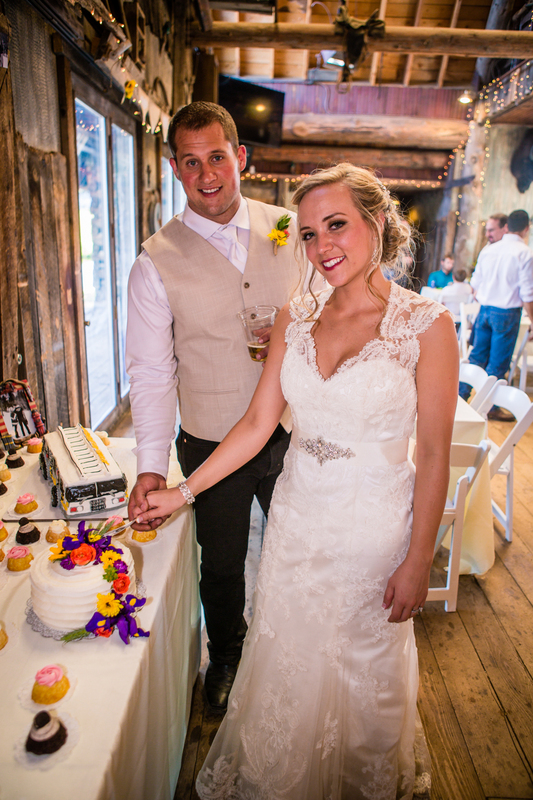 The Wedding Storytellers created a beautiful wedding video, which the guests enjoyed prior to dancing. 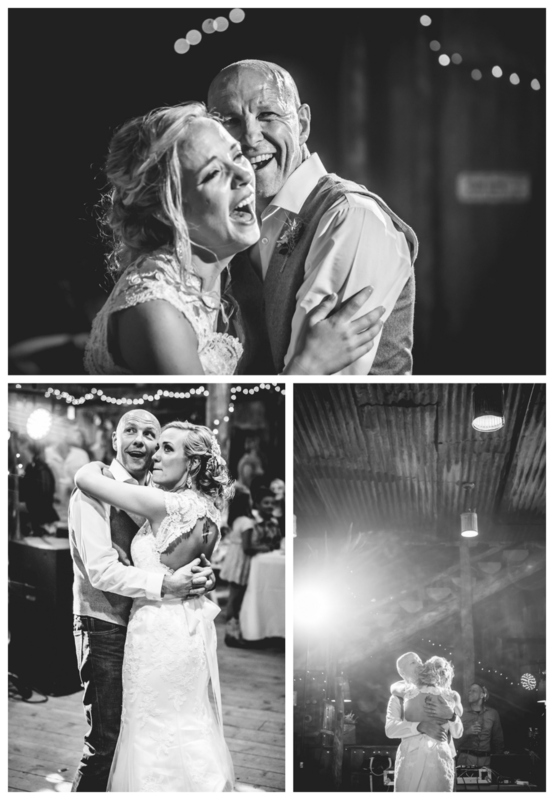 Once the lights were turned down everyone had a wonderful time dancing the night away.